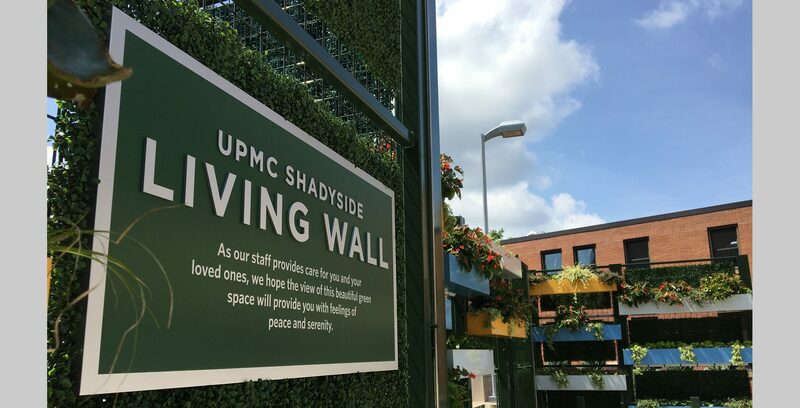 UPMC Shadyside selected Pashek + MTR to design a living wall. 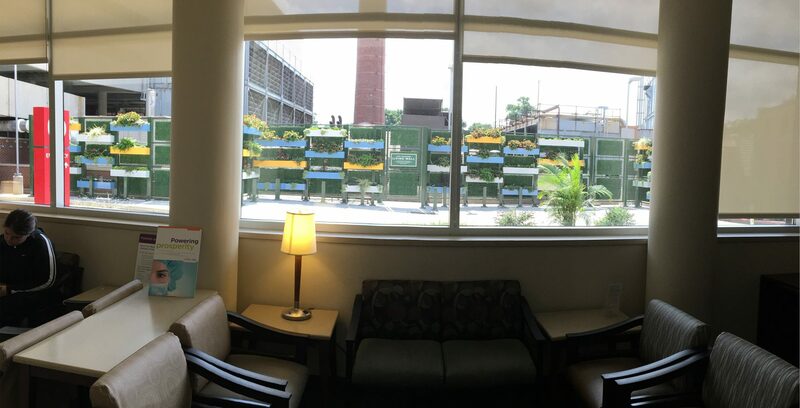 The purpose of the wall is to screen the hospital’s mechanical systems from their emergency room entrance. 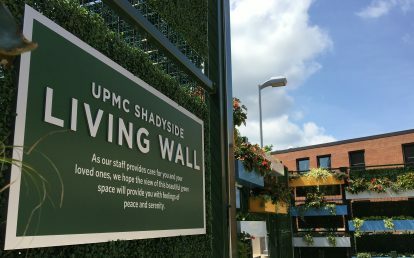 The design for the living wall provides visual interest throughout each season, and during both the day and the night. 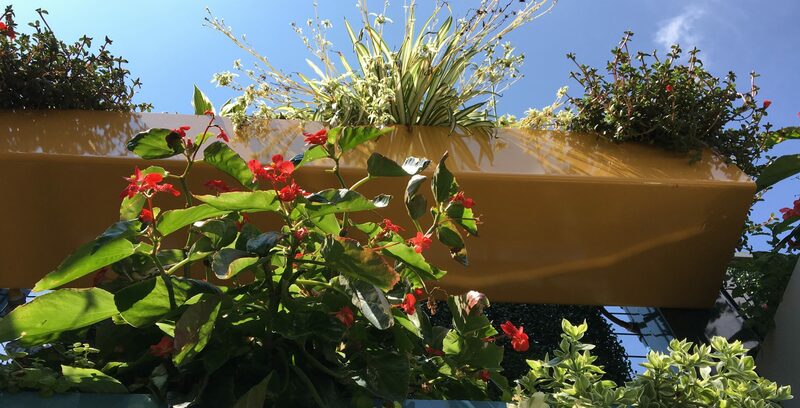 To provide winter interest, when plants are dormant, the planters are painted in vibrant colors. Random textures and patterns provide for an interesting and appealing visual effect. 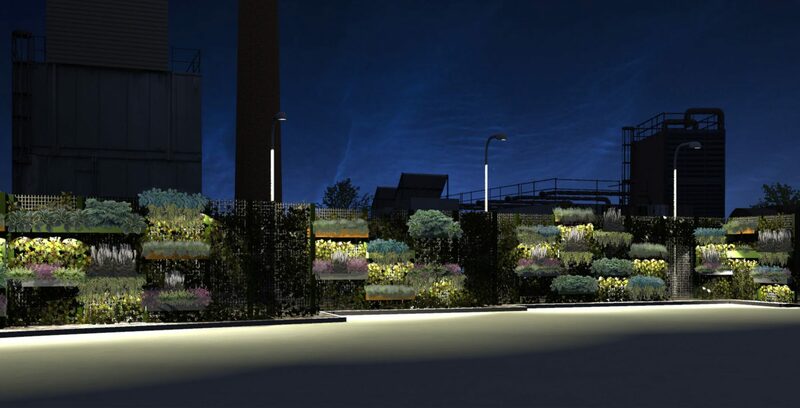 LED lighting highlights the living wall and provides visual interest during the night. 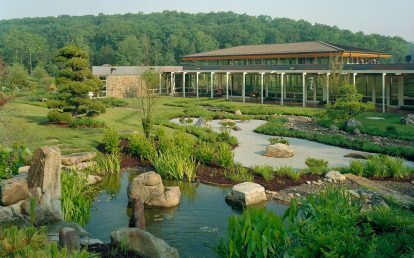 The colors, plants, and lighting serve as calming features to patients and their families who are typically facing stressful situations. 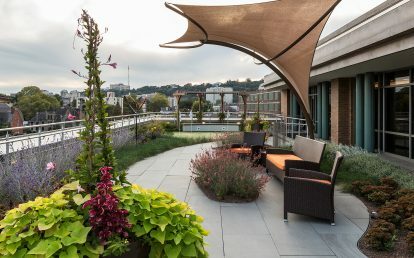 The wall also serves biophilic functions as it helps connect people to nature. 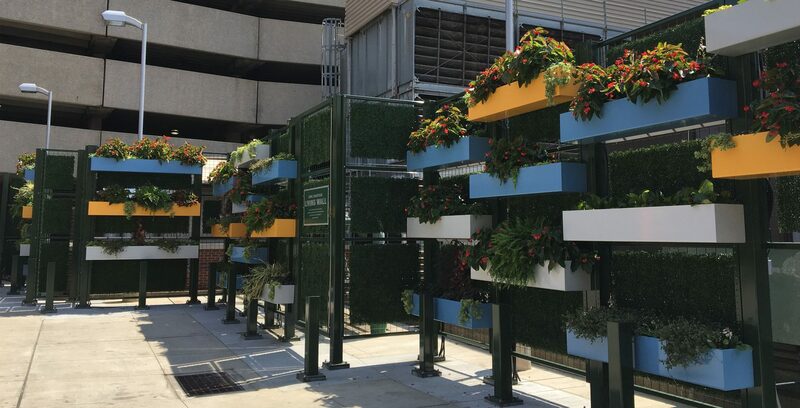 Plants were specifically selected to withstand constrained planting conditions including high exposure, shade tolerance, cold hardiness, and constrained planting volumes. 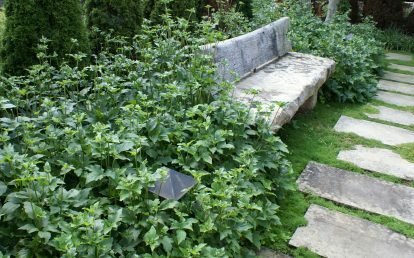 To further increase the longevity, and therefore sustainability, of the plants, larger planters were custom designed to hold more growing media than typical living walls. We were challenged from a number of perspectives, including maintaining access to the hospital’s emergency room during construction. Therefore, emergency vehicle clearances, emergency room access, and emergency room parking could not be interrupted. Both above grade and buried utilities and their respective clearances needed to be maintained. The location of existing active utilities, mechanical systems and their required clearances prohibited the structure from being anchored with traditional concrete footings. The location of gates and openings were coordinated to ensure access to utilities. Vehicular barriers were seamlessly incorporated in the wall to protect it. The height of the wall was determined by what can be reasonably maintained by hospital staff.